As I said previously, painting has more or less ground to a halt. Not that I haven’t been productive in other areas. My main push was to get stuff ready to sell at the Austrian Salute in March. That was quite tiring and on the day itself I suffered with fatigue and a nasty gum infection, so I didn’t really see the day in a positive way. 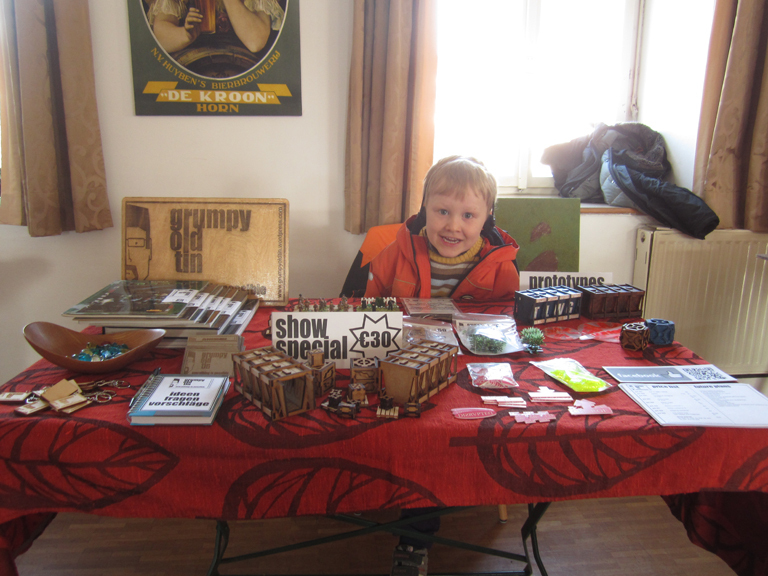 I made the grand sum of three Euro but the guy next to me, from Templates and Widgets, also selling some laser-cut accessories told me that at his first show he didn’t sell anything. A 180 degree view of the show. The project I have been getting on with is this. A laser-cut model from the old Warhammer Cities book. The only problem is that I can’t sell it as it is based on a design by GW. 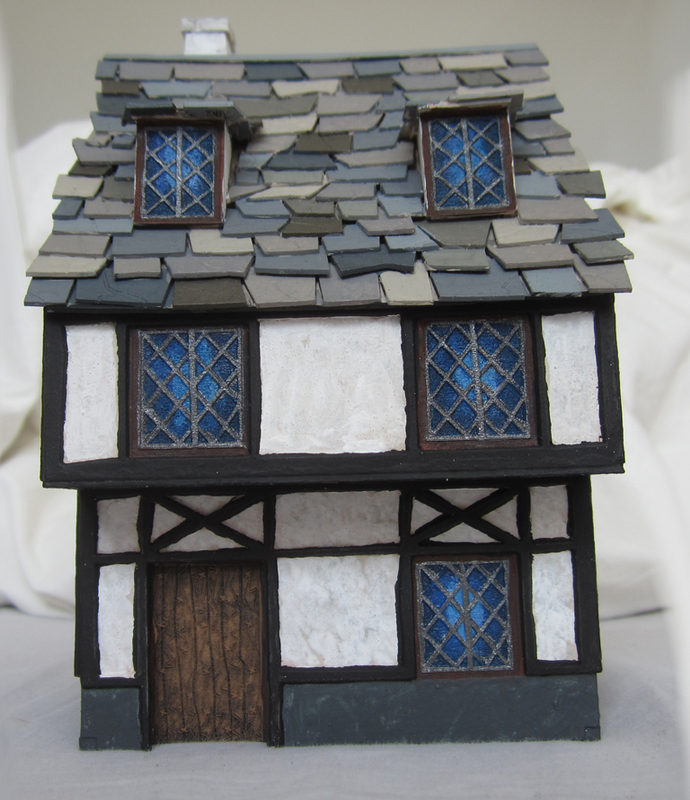 I have now started searching the interweb for pictures of medieval timber framed buildings for the next one. If I find the right design I can tap into the historical market as well. This entry was posted in Salute, Warhammer Fantasy Battle and tagged Austria, Buildings, Craft, enormous wobbly breasts, games workshop, gaming, Laser-cutting, Painting, Warhammer Fantasy Battle by grumpyoldtin. Bookmark the permalink.